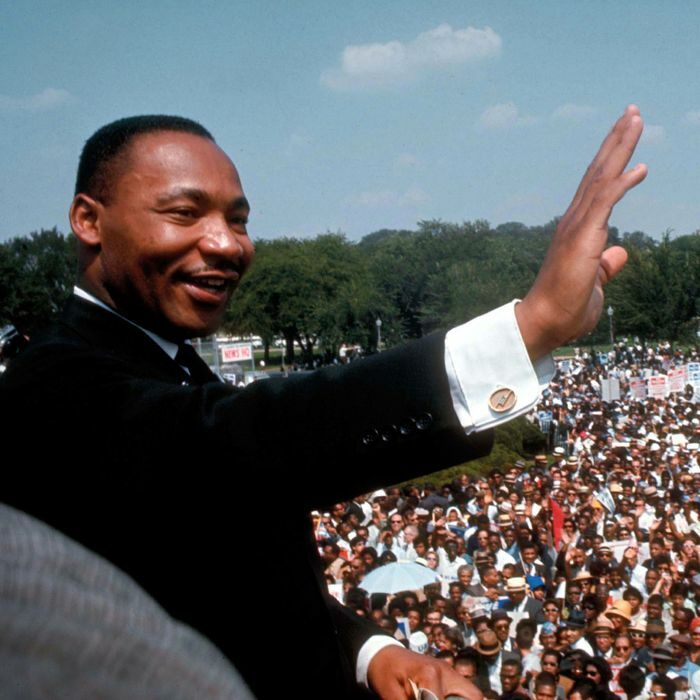 Is a Prophet Like MLK Possible Today? On the Martin Luther King Jr. holiday of 2019, it is entirely possible to look back on King’s courage and self-sacrifice as inspirations in especially difficult times. But it’s not as easy to imagine that a miracle like the civil-rights movement could recur in the Trump Era. For those who think of what King and his contemporaries achieved as inevitable and overdue — and now universally praised by everyone this side of open white supremacists — its miraculous nature might seem overstated. But make no mistake, the civil-rights movement achieved a progressive breakthrough and a national consensus on an issue — the equality of races before the law — that had divided Americans from the Republic’s very beginning. Indeed, racial equality is still controversial, as evidenced by the furies of resentment that accompanied the backlash to the country’s first African-American president and led to his startling successor. It’s painful to remember how recently many of us thought Barack Obama represented a permanent consolidation of King’s accomplishments; that he was the Joshua to King’s Moses, who would lead his people into a promised land of opportunity and justice. Now at a time of general reconsideration of the 44th president’s significance, this, too is in serious question. The historic bell sounded by Obama’s election cannot be unrung. But few would deny that the unrighteous remnant of Americans who think white people are oppressed by the aspirations of people of color has grown larger and more militant, effectively reclaiming the appropriately named White House for the race that occupied it for so long. While that doesn’t mean full-on racial segregation will return, it does mean that King’s legacy has been domesticated almost to the point of vanishing, even though we need it more than ever to combat a resurgence of overt racism. In the ears of those who can’t imagine life under Jim Crow, King’s fiery challenge to the America of his time has been reduced to feel-good bromides and truisms. And King’s words have been appropriated by reactionaries to rebuke “social justice warriors” — the sneering term that King would have worn proudly like a crown of thorns — for not being satisfied with “race-neutral” policies that cloak continued discrimination. So before we can even consider who might be appropriate successors to King and the heroes of the civil-rights movement, the crucial question is whether conservative white Americans have so hardened their hearts against the pleas of the oppressed that they will no longer even hear them. My biggest disagreement with King — maybe it is less a disagreement with him than it is just a recognition that America has changed over the past 50 years — I don’t think the American conscience can be shocked into true repentance anymore. I think it is callused and atrophied. I’m still thinking through the consequences of that. I am, too, with growing despair. King succeeded because he held a mirror up to Americans and forced them to compare their behavior to the ideals they professed to cherish, as articulated in the Declaration of Independence and the Gospel of Jesus Christ. Enough of them recoiled at their reflection and repented that they demanded the national government take up the abandoned task of Reconstruction, even though it required abrogation of states’ rights and long-established customs, and breached an unjust peace. Nowadays the white evangelical clergy rooted in those southern churches of the 1950s and 1960s are (with honorable exceptions) cheerleaders for the descendants of Barnett and Wallace, those who similarly spit contempt at “liberal” judges and “outside agitators” and hide behind states’ “rights” to restrict the franchise, cut social benefits, deny health-care coverage, and starve public schools. And if they won’t listen to calls for justice, why would their more secular peers, who mock “political correctness” and glory in their proud freedom to discriminate? Last year I wrote that the North Carolina preacher and activist Reverend William Barber II, who among other things has taken up the banner of the Poor People’s Campaign that King was planning when he was murdered, might become a worthy successor to King. It’s telling that despite his conventionally progressive goals he finds himself often under arrest, like King, and marginalized, perhaps even more than King. Despite his calls for a meeting of hearts and minds across partisan and ideological lines, he’s consigned to one side of the barricades in the bitterly polarized political battles of our time. Would Americans listen to another prophet like King? Probably not in the foreseeable future. And the miracle breakthrough civil-rights activists wrought with their own hands might today require something more like divine intervention.